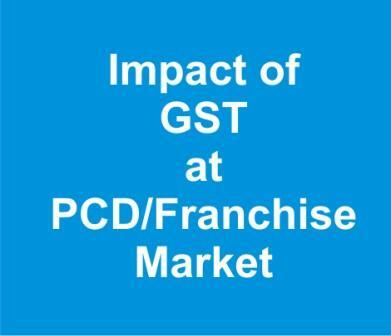 What will be impact of gst on pcd franchise companies? What will be impact of gst on pcd franchise companies as we purchase goods from companies on net rates. As a pcd distributor, parties were enjoying excise free zone service but at raw material level excise were applicable. That was increasing rates of raw material. Same for areas which were not come under excise free zones. Excise were applicable that was applicable at 65% value of MRP. This increased the rates at much level. Now excise duty has been ended, hence it will provide the much relief to most of manufacturers. We are hoping raw material prices will come down and manufacturing cost too. Maximum retail price may also be increased for products which come under DPCO because now MRP will be calculated at GST rates. How to File Return under GST reforms?